I used Ricotta cheese for creaminess, some Parmesan cheese for saltiness, Asiago cheese for a bite, Mozzarella cheese for a little richness, and….that’s it. :( I know, I failed! I didn’t get the 5th cheese in! But, since my mother detests goat cheese, I had to leave it out. Gorgonzola, Brie, Fontina, Manchego, Gruyère, and even Gouda would be fabulous here, but you can use whatever cheeses you like. 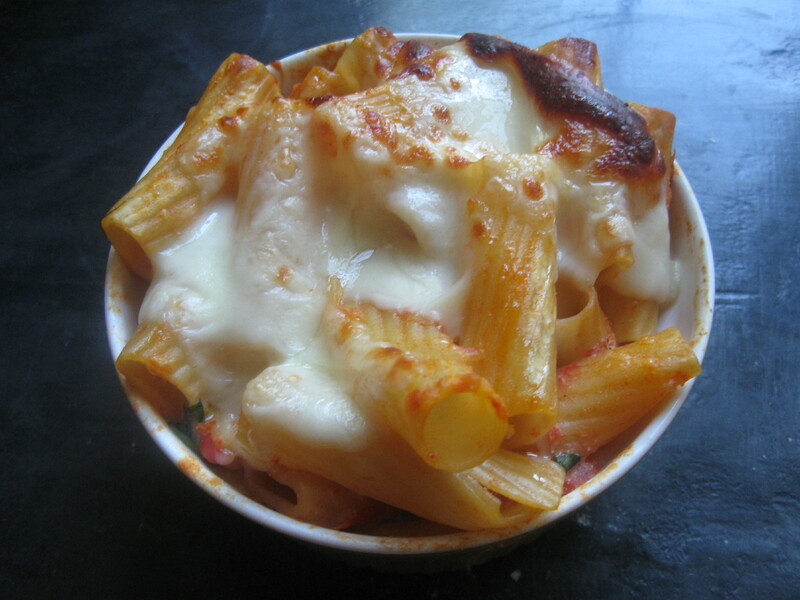 Combine everything except the pasta and mozzarella cheese in a bowl. Cook the pasta and add it. Make sure not to cook the pasta all the way though! 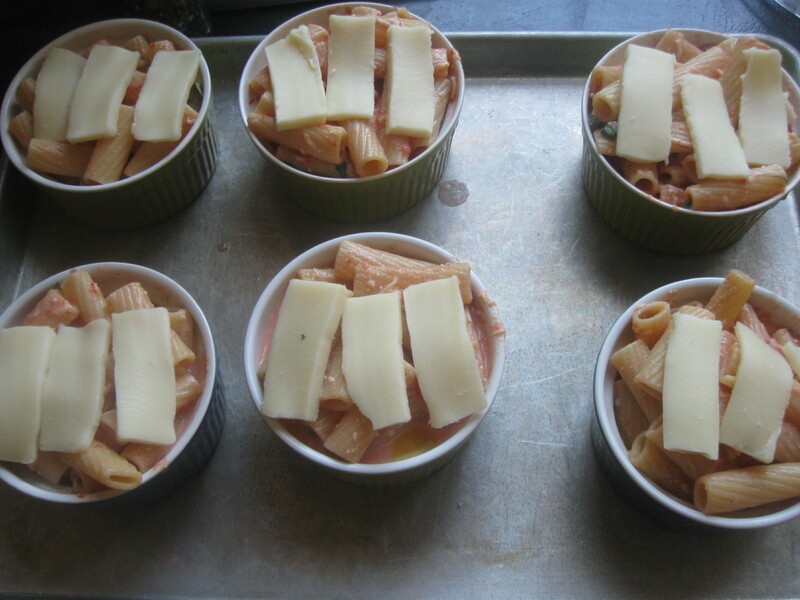 Then spoon them into individual ramekins or a baking dish and top with the mozzarella. 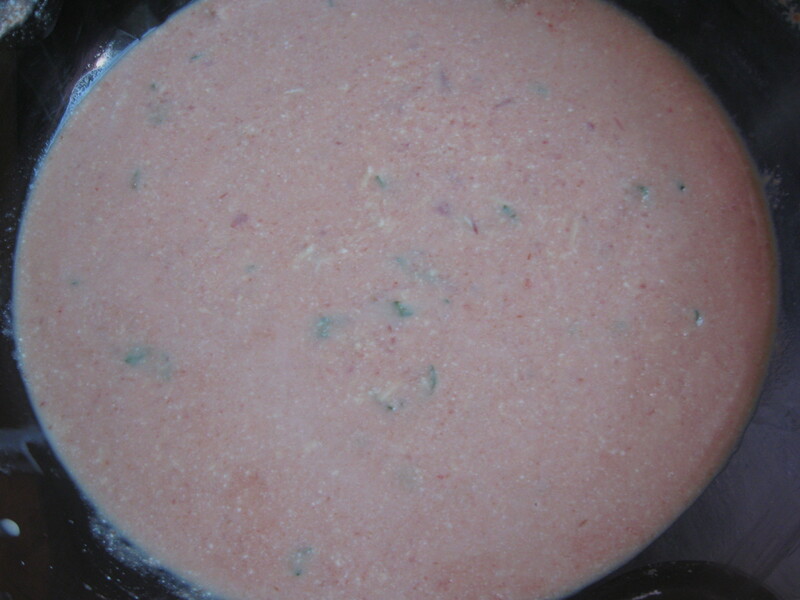 Bake at 500 degrees for 7-10 minutes, or until the cheese is bubbly. Bon Appetit! Yum! Katie this sounds delicious! "Five Cheese Macaroni and Cheese" was written June 20th, 2011	by Cooking with Katie, and filed under Classic Favorites, Super Side Dishes and tagged Cheesy, Pasta.